Spring Has Sprung… Is Your Furry Friend Ready? | Life... Out Loud! Spring Has Sprung… Is Your Furry Friend Ready? Chewy.com is a rock out site with some of the best pet products around. Want to see for yourself? Check it out by clicking this link! I have had the chance to check out two products that they carry and both myself and Miss Bella were wildly impressed. The first was the FURminator Dual Brush for Dogs. With a name like that I know what you are already thinking… This bad boy better live up to its name! I can assure you, it does. The mission of the company is “for a hair-free home, a happy pet and the life you want.” While that seems like quite the mission to live up to I can promise you that they deliver. FURminator products reduce shedding up to 90% (that’s a lot of hair, folks!) The brushes also help remove mats and tangles that can pull and tug at your sweet pup’s precious skin. The grip on the brush is amazing and feels like heaven in your hand while the design of the brush head follows the natural contours of your pet’s head and body. (If this sounds poetic, that’s because it is… This brush is amazing!) Miss Bella loved it and was in complete chill mode when I was brushing her. If you know her at all, you know she is never in chill mode… Unless of course her narcolepsy kicks in… Which is usually hilarious… I digress. The brush is awesome. Go buy one immediately. It will probably change your life. Next up are Zuke’s Mini Naturals Wild Rabbit Recipe. I have to be super honest, I have been a huge fan of Zuke’s for a long time so this wasn’t really a hard sell. Zuke’s is a rad company with the mission “Be Healthy. Be Active. Be Devoted.” Umm, hello inspiration… Where do I sign up?! 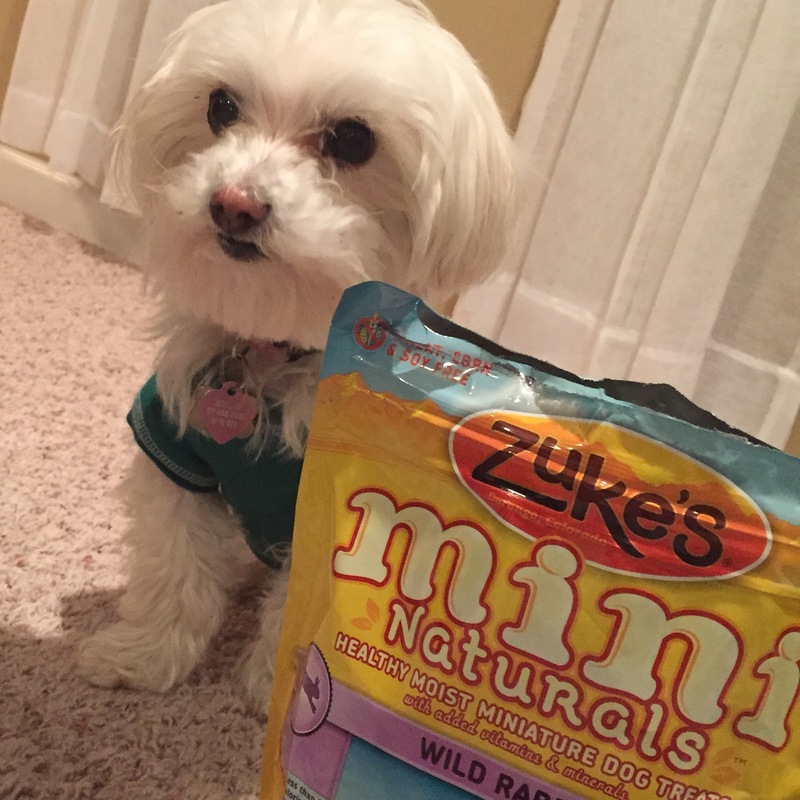 Zuke’s treats are all natural and don’t contain crazy fillers (which is a HUGE selling point in my book! I don’t wanna give my fur-babes anything that would be potentially terrible for her.) Perhaps the one thing that I love about these treats that not a lot of treats can boast about is the size and the consistency. Miss Bella is all of but 5 lbs and I am very aware that just one extra pound on a dog can have harmful effects on them. I love that these treats are bite-sized for her little teeth and the consistency is easy enough for her to chew up fairly easy. If you haven’t tried the Zuke’s brand yet, stop everything and head to chewy.com to purchase yours today! You are right on about Chewy.com! Your “cousins” CJ and Simon get great deals on their prescription food and other great stuff from their. 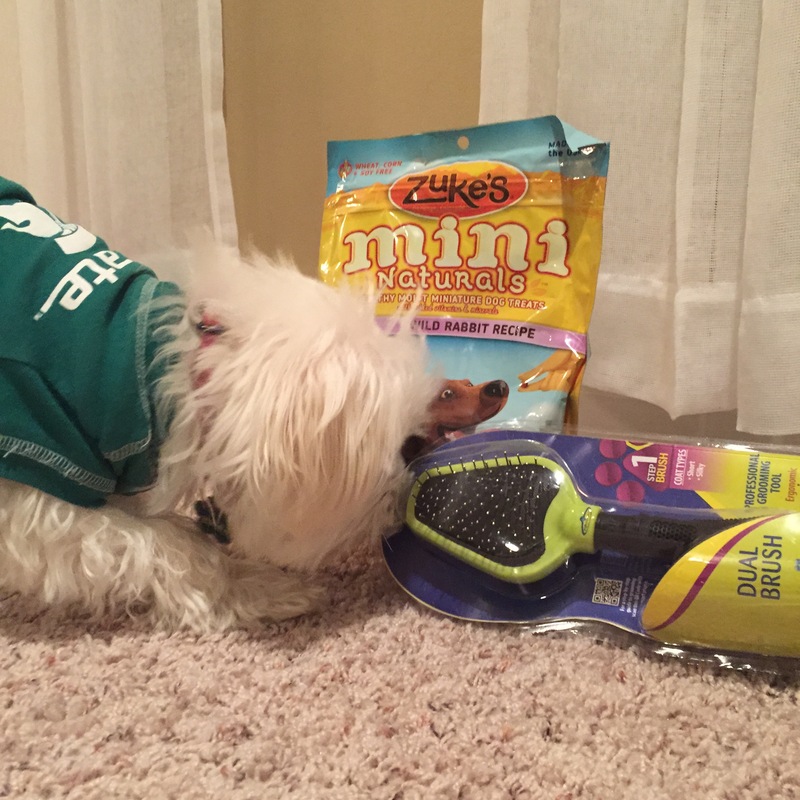 The while fam loves Chewy.com!